Seal and protect your concrete and masonry with DuraCoat, a modified epoxy-urethane with heavy wear and chemical resistance. The high solids formula is used to protect high-traffic industrial floors. A heavy-duty, chemical resistant, two-part epoxy-urethane top coat sealer with a long pot life (6-8 hours), excellent flexibility, and resistance to impact and wear for garage and industrial flooring. 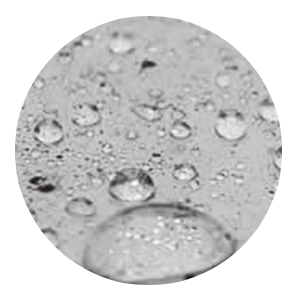 The solvent-based formula has approximately 56-72% solids depending on color. 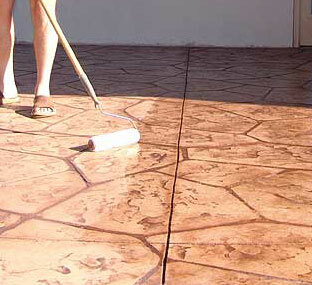 Used to seal, waterproof, and protect (stained or unstained) concrete surfaces from water, oils, strong acids and many organic or inorganic solvents. Commonly used inside swimming pools (Dark or Light Blue available). Also commonly used to protect chemical storage, fuel and water tanks, pipe linings, and other mechanical construction. Apply with a brush, roller or sprayer. NOTE: Performance metrics are dependent upon correct mixing and installation. It is critical that the two-component kit is mixed and installed exactly according to instructions. Please use common sense. 2-part (A & B) epoxy-urethane kit is packaged as 1 part A and 1 part B. Available in 2-Gallon and 10-Gallon kits. Approximately 250-350 square feet per mixed gallon. Two coats recommended.